Okay, I guess it's time to post those book reviews, before continuing my last week of real-life travels with Mum. As always, enjoy coffee while reading, and follow the links for my gather reviews. I'll start with Joshua Muggleton's Raising Martians, a very approachable, easily-read description of the life and interests of a Martian I know rather well, since he's my nephew. Joshua does a great job of humanizing an Aspergers syndrome diagnosis, putting face and character to the child who gets bullied in school, and helping adults see the thought processes behind what might seem to be stubborn rebellion. A great book if you have any contact with children with Aspergers or high-functioning Autism, or just kids who don't seem to fit in. Enjoy a 3-star well-balanced coffee as this book balances humor, honesty and serious study of an illness that affects so many. 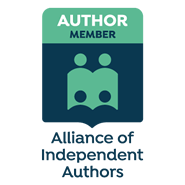 I'm visiting Lee-Ann Graff Vinson's Wiring Commando blog today, where she shares the joy of winter snow, children, dog, and family-time. Lee-Ann has interviewed me and I really enjoyed answering her questions. I'd love to answer yours too if you follow this link to meet me. See you there! Lee-Ann Graff Vinson is the author of Georgia's Smile (a woman afraid to leave her husband), Love's Trust (a young woman reporter in Iraq, saved by man who was meant to die), Callie's Fate (unhappy circumstances bringing a woman and the Marine of her dreams together with hopes of more), and Love and Liberty (Captain Dana Jenkins, taken prisoner, while holding another captain's heart). Stories of love and war, freedom and hope, from Gypsy Shadow Publishing. Real visits: to a wonderful friend with two wonderful cats. Maybe it's sunspots. Maybe it's just me. Yesterday I watched a DVD with my Mum. We hoped to watch the whole series before she goes back to England, but the DVD player broke. I'm lucky though; at least I got the disc out first. Today a friend took me and my Mum for a drive. I brought my GPS along to help us not get lost. "Turn right," said the kind electronic voice, then fell silent while the screen went black. I'm lucky though; my wise friend found her way. This evening I plugged my kindle into the computer. "Drive E needs reformatting before use," said the nice little window that appeared. I'm lucky though; I pressed cancel instead of ok. Realizing that "things" tend to break in threes, does the fact that my kindle's still working mean something else is yet to break? Do I dare use my cell-phone, the washing machine, the car? Or maybe it's just sunspots, or the rain. As part of Lightning Book Promotions blog tour for CardSharp, I'm posting information about Paul Oliver Westmoreland's first Vincent Ward novel, and offering a link to his very appropriately-named website, http://www.powbooks.com. ... a nice blend of art, history, information and modern-day action, enjoyably English with a pleasing international flavor, attractively produced and well-designed to encourage young readers to read, think and have fun. "What book are we reading next month?" asked a friend at our local book group. It took me a moment to wrangle my phone out of my pocket. Then I mis-typed the password, again. But two screens later I was clicking on "calendar." Scroll to February, click on Thursdays ('cause that's when we meet) and there it was. I actually used my phone to answer a question, so I guess my phone really is getting me organized after all. Of course, there's still a long way to go, but that "task list" on it says I need to post some more book reviews, so here they are. Plus coffee. Always coffee. And no ratings because I really don't like rating books. Is it true that things have to get worse before they get better. I'm trying to get organized... Meanwhile I'm trying to find time to read and write. Meanwhile my to-read-and-review pile grows taller--as does my virtual read-and-review pile, though I did, at last, remove already reviewed books from my rapidly overflowing kindle, which leaves a little more space for more books, but not a lot. Anyway, here are four books removed from the kindle after an enjoyable week of reading and organizing (and hey, I did write 8,500 words of Infinite Sum, the sequel to this summer's upcoming Divide by Zero). Starting with science fiction (where else) the Apocalypse Gene, by Suki Michelle and Carlyle Clark is an exciting young-adult dystopian novel filled with believable technology, fascinating multi-cultural mythological references, and an intriguing blend of folklore, sci-fi and romance. Enjoy with a bold, dark 5-star cup of coffee. Starting the New Year organized? Me organized? It doesn't sound terribly likely I know. But our oldest son has finally dragged me into the 21st century with the aid of a smart-phone. I've linked it to a shiny new gmail account, resulting in emails, a totally chaotic address book full of random disconnected contacts, and a calendar, all easily (?) accessible from that sliver of plastic in my back pocket. Well, and then I make dinner. But in case you were wondering why I've not posted your book reviews or replied to your emails yet, please blame organization. Who knows, this time next week I might finally learn what year it is. Flower Child nominated in Preditors and Editors !!! Science Fiction & Fantasy Short Story published in 2011... Runs round the room in amazement--one of my stories, nominated!!! Runs round the room again!!! 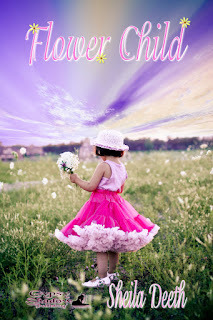 Anyway, if you liked Flower Child, please vote for me--just follow the link, click the button by Flower Child, add your name and email and copy the magic code (for verification) lower down the page, then click on the link in your email when you receive it. We played some board games yesterday and realized I still hadn't put them away since Christmas 2010! Procrastination rules. But tidying them up means hiding away reminders of the kids. I like to keep them around, board games and kids. Since the "kids" are all grown, I guess I'll probably keep those board-game boxes piled under a table till Christmas 2012. Meanwhile, Happy New Year!And here's a few children's book's I've been reading to usher in new hopes and new inspirations... (and coffee of course).